It’s a linguistic curiosity of the English language that the operating costs of owning a swimming pool should be called “running” costs. But that doesn’t mean the running costs aren’t real. And it also doesn’t mean they can’t be significantly reduced. Here are 15 simple ways. The simplest, quickest, and most efficient way to reduce your pool running costs is to invest in a pool cover. How much will it reduce your costs? By at least 50% a year! With cost savings like that, a pool cover can easily pay for itself in less than a year. Cut Water Costs – during the 6 hottest months of the year, an 8 x 4 metre pool will lose around 10,500 litres of water to evaporation (that’s 25% of the total pool water). That’s water you’re paying to top up. Pool covers reduce evaporation by around 97%. Full disclosure, we do sell these but we really believe in them. 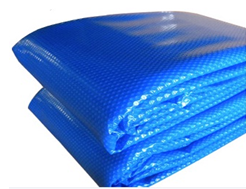 For more on pool covers, Click Here. Putting chemicals into your pool at night instead of during the day can drastically reduce your chemical costs by as much as half. Why? Because you’ll need to use a lot less of them. Chlorine is degraded by ultra violet light. Therefore, during the day, sunlight slowly destroys the chlorine in your pool. In fact, if your stabilizer levels are too low, it need only take a couple of hours of bright sunshine to remove virtually all the chlorine from the water. Putting the pool chemicals in at night means you’re not wasting them. What’s more, it’s at night that chlorine is most useful – neutralising whatever’s been introduced to the water during an afternoon of swimming. Obviously, if you’re putting the chemicals in at night, you’re going to need to run your filter at night, too. However, also bear in mind that electricity tariffs are lower during off-peak hours. During the day, run the pump for short cycles rather than for several hours at a time. As already noted, electricity tariffs are higher during the day and especially in summer when so much power is being consumed to cool office buildings etc. The use of a timer to control when the pump operates makes this process a lot easier. Additionally, it’s worth noting that the use of a pool cover will mean that you won’t need to run the pump as often as without one. 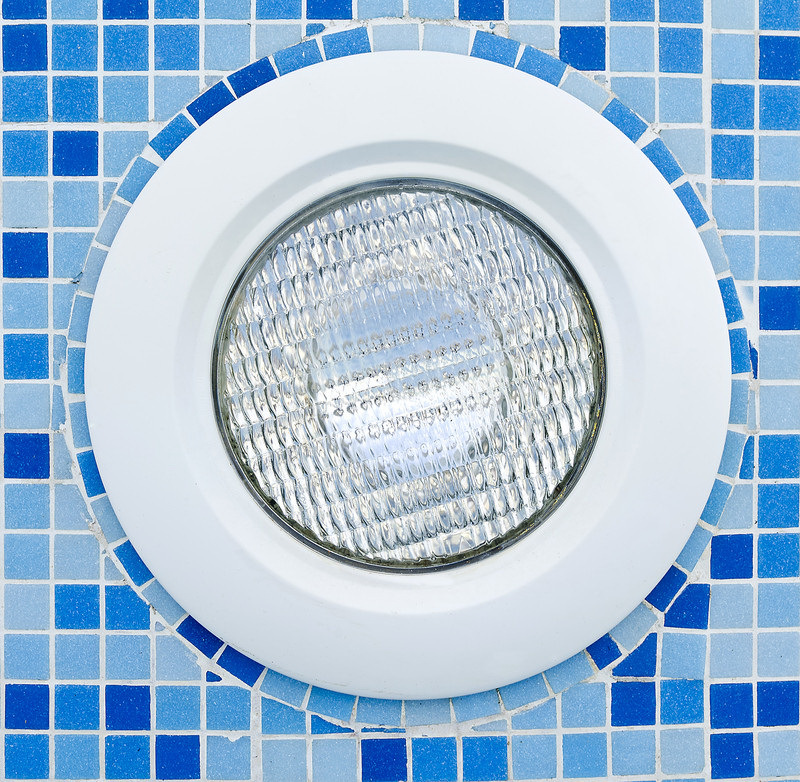 A clogged filter means that your pump has to work harder and, therefore, uses more energy. The same holds true if the pump’s strainer basket or the poolside skimmer baskets have become clogged with leaves and debris. 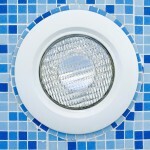 So make sure that the filter is regularly cleaned, and the strainer and skimmer baskets are regularly emptied. Since leaves and debris not only cause the pump and filter system to work harder, but also require more chemicals to counteract their effect on water quality, it’s advisable to keep leafy shrubs and plants away from the pool itself. Similarly, think about cutting back any limbs of leafy trees that may overhang the pool or pool area. Again as already mentioned, chlorine is degraded by sunlight. Pool stabilizer (cyanuric acid) slows down this process and increases the lifespan of the chlorine in your pool by anything between 5 and 10 times. However, the stabilizer level need to be maintained at 30-60 parts per million (ppm). Below that level, chlorine rapidly degrades. However, above that level there is no marginal benefit, and at anything above 100ppm, the stabilizer actually prevents the chlorine from sanitising the water. So, by keeping the stabilizer level in the proper range, you won’t be wasting money on chlorine being either destroyed by sunlight or else not being allowed to do its job. Even a relatively gentle breeze of no more than 10km per hour will be enough to double the rate of water evaporation from your pool. Of course, a pool cover will prevent that, but pool cover’s are on the pool when it’s in use. So, if you can prevent the wind from blowing across the exposed surface of the pool, you’ll cut down excess evaporation and cut down your running costs. Hedges, fencing, or landscaping are all options that can provide you pool with shelter from winds. Variable speed pumps are far more energy efficient than standard pumps – anywhere from 30-50% more energy efficient. That’s because, for regular daily use of the pool, you can turn down the speed of the pump, thereby saving energy costs. You only need to turn the pump speed up when it’s time to clean the pool. Solar pool pumps are powered by free energy from the sun and, unlike standard pumps, they require very minimal maintenance. Admittedly, there are downsides: the solar collectors take up a fair amount of space; the collectors need to be exposed to at least 5-6 hours of direct sunlight a day; and solar pumps don’t function in shade or at night (although most solar pumps have a back-up power source). Also, they’re not cheap but, despite the large upfront investment, the savings on energy should mean they pay for themselves within 4-5 years. Not only do LED bulbs provide better and “warmer” illumination that incandescent or halogen bulbs, they operate with energy cost savings of anything up to 80%. They also last considerably longer. If you only use your pool at the weekends, lower the thermostat setting on your heater or heat pump during the week so that you’re not wasting energy heating a pool you’re not using. Even a reduction in temperature of a couple of degrees during the week can result in meaningful energy cost savings. Gas heaters are undeniably good at on-demand heating the water. However, their running costs can be extremely high – annually around $900 for natural gas, and $2,000 for LPG. And that’s assuming you’re using a pool cover: without one those costs can easily be doubled. By switching to an electric heat pump, a far more energy efficient way of heating the pool, your annual running costs for heating should fall to around $500. If you switch to solar heating, your annual running costs will fall even further to around just $150 a year. 7 months active pool use per year, with pool cover, southern QLD to central/north eastern NSW. For more on comparable pool heating costs Click Here. For more on solar heating Click Here. In other words, don’t overheat the pool, don’t overdo the chemicals, and don’t clean the pool more than you have to, or run the cleaner for longer than necessary, in order to keep it looking good. Do what is required, and what is sufficient and your running costs will come down. It’s much easier, and much less expensive, to keep algae out of your pool than it is to eradicate them once they’ve taken hold. Paying close attention to and scrupulously maintaining the chemical balance of your water will avoid the costs associated with dealing with unwanted problems.